The RADICAL6 is built with a full-length wood core made of ecologically grown paulownia wood. This guarantees the optimal mix of flex, responsiveness and dynamic recovery force in the board, while retaining huge amounts of strength and durability. The 3D sandwich construction and biaxial laminate around the woodcore provides the necessary torsional stiffness and durability. This construction gives the board plenty of flex in the tip area while reducing flex in the core of the board. 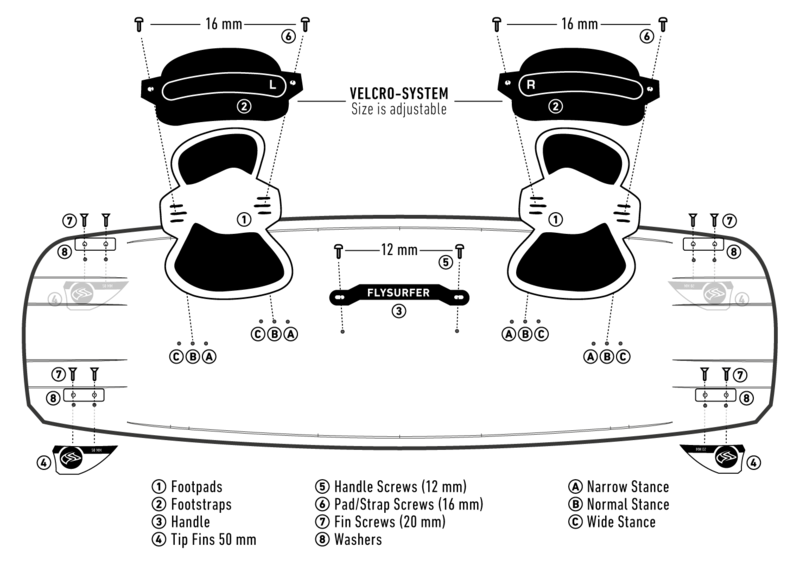 Giving you more direct board feedback and more performance on the take-off without compromising smoothness. For years, our RADICAL line has stood for unbeatable performance, ease of use, high quality standards and durability. The RADICAL6 received a completely new graphic and technical make-over of the core but remains true to its roots. Early planing, fast, easy upwind and effortless to jump. The asymmetrical outline makes the board snappy, but also allows comfortable toeside cruising, perfect for any downwinder. The reworked tip design and the new 3D Flex Distribution eliminate vertical splash water and let the RADICAL6 cut through choppy water without any problem. This feature rich package and the resulting control will easily help you to be one of the first planing and going upwind as well as making big-airs and board-offs more accessible. Category: Boards. Tags: Flysplit, Kiteboard. The RADICAL6 is comfortable, fast and responsive – the ultimate all-round kiteboard line. Experience a new riding experience sensation with balanced flex and revised rocker curve. Maximum control, directional stability, less spray and high comfort in all conditions.